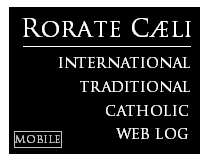 RORATE CÆLI: Exclusive Op-Ed: Pio Pace: "Conclave Preparations: Watch Out - Great Editorial Manoeuvres Signal Cardinal Tagle"
Exclusive Op-Ed: Pio Pace: "Conclave Preparations: Watch Out - Great Editorial Manoeuvres Signal Cardinal Tagle"
We are very honored to post this new very important warning piece, by a very wise, knowledgeable, and highly influential cleric, writing under the pen name of don Pio Pace. At the time of the 2013 conclave, the Ratzingerians did not see coming the very efficacious shadow campaign led by the Archbishop of Buenos Aires. Today, when, in the ecclesisastical milieux opposed to the Bergoglian establishment, the "candidacy" of Cardinal Tagle, Archbishop of Manila, is mentioned, the subject is barely worthy of attention. And yet, the great editorial manoeuvres have started with him! Vaticanist Cindy Wooden, who directs Catholic News Service, has published his biography, Luis Antonio Tagle: Leading by Listening (Liturgical Press, 2015). Qualified as a "Cardinal of the Poor", a man who listens, a man of dialogue, he is presented as being at the edge of the new evangelization. The book is being translated in several languages, including in French. In Italy, always on the same theme of "the man of evangelization" and "the poor", yet another book on Cardinal Tagle is to appear, "Dio non dimentica i poveri. La mia vita, la mia lotta, le mie speranze" (God does not forget the poor: My life, my struggle, my hope) [Editrice Missionaria Italiana]. Tagle, an intelligent man, with no exceptional personality, young (not yet 59), staunchly liberal, is the ideal character to solidify the hopes of all those who do not wish that the pontificate of Pope Francis be a simple parenthesis. In a previous article of February 9, 2015, we wrote here that this son of the Manila upper class had obtained his university degrees in the United States (on the theme of Episcopal Collegiality), and had taken part in the works of the team that had supervised the monumental History of Vatican II, edited by the ultra-progressive School of Bologna (Giuseppe Alberigo and Alberto Melloni). He had as his mentor Father Catalino Arevalo, Filipino Jesuit, who was acknowledged by the Federation of Asian Bishops' Conferences as the "Father of Asian Theology", a local version of Liberation Theology. Fr. Catalino Arevalo is a disciple of Jürgen Moltmann and of his "trinitarian theology", that considers the Trinity as an "event", fabricated, to say it in a simple way, by the event of the Cross, where God made Jesus his "Son" and obtained his "identity" as "Father". It was Moltmann's disciple that Benedict XVI, always particularly sensitive to academic relationships, made Archbishop of Manila in 2011 and Cardinal in 2012. An enthusiastic elector of Pope Francis in 2013, he met him again at the time of his apostolic voyage to the Philippines in January 2015. 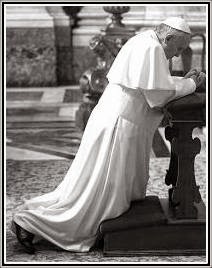 Francis placed him in front of him, to the point that numerous journalists started treating him as the "heir". One of his most powerful supporters, the Honduran cardinal Rodriguez Maradiaga, coordinator of the Council of 9 Cardinals charged by the Pope of proposing ideas for the famous reform of the Curia had him elected president of Caritas Internationalis on May 14 2015, with a majority of 91 over 133 representatives, as a defender of the marginalized. The liturgical ideas of Cardinal Tagle? 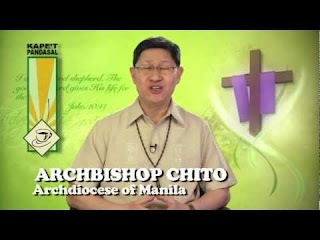 They are well expressed by his predecessor, Cardinal Gaudencio Rosales, Emeritus of Manila, who, during a mass presided by Cardinal Tagle last January 26, at the 51st Internationzal Eucharistic Congress, which took place in Cebu, Philippines, encouraged to "make Eucharist by freeing oneself from the rituals".